Furnaces require frequent maintenance and repairs, and they need more attention than most of the appliances you use in your home. Keeping up with the maintenance that your furnace requires can be difficult for a lot of Westchester homeowners, and many end up waiting until there are larger problems before they ever call a professional to work on their furnace. 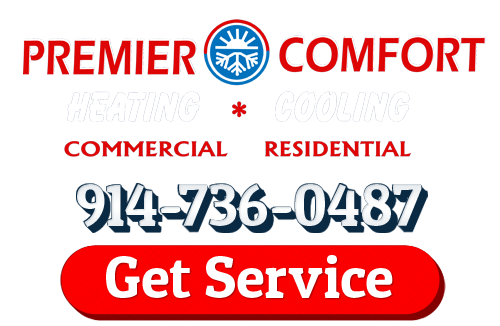 However, in order to ensure that your furnace lasts as long as possible, and that it runs efficiently throughout that time, the professional Furnace Replacement at Premier Comfort suggest you have a tune-up at least once each year. But even if you are getting your furnace tuned up and giving it the attention that it needs, you will eventually need to have a furnace replacement. If you don’t watch out for warning signs that it’s close to time to replace the furnace, you may end up without heat in the coldest parts of the year, waiting for a replacement. Furnaces can often last for as long as twenty years or more before they need to be replaced. However, that number depends on how well the furnace is treated, and without regular maintenance it could drop to as few as ten years. If the furnace in your Westchester home is more than ten years old, you should definitely start paying close attention to it and considering whether or not it’ll need to be replaced soon. If you haven’t had a tune-up lately, now is a good time to start having one performed by a Westchester furnace technician every year. If your home’s energy costs are on the rise without explanation, it could signify that your furnace has some issues. Over time, all furnaces become less efficient, and that can end up causing your entire home’s energy efficiency to decline significantly. If your heating costs go up significantly in a fast enough period and it’s not because you’re suddenly heating your home more often, it may be time to have a furnace replacement. The Westchester furnace replacement contractors at Premier Comfort can help you determine whether or not any problems can be fixed. A heating tune-up may be able to solve these problems and get your costs back down, and if not, we can help with a replacement. Any hissing, rattling, squeaking, or clunking sounds coming from your furnace can all point to serious problems. You should also be on the lookout for puddles, mold, rust, or soot around your Westchester home’s furnace. Each of these things could point to bigger problems and they may indicate that your furnace needs to be replaced. If you are looking for Furnace Replacement in Westchester then please call 914-736-0487 or complete our online request form.